Here's a mortgage question we received recently: "We have been pre-qualified for a regular FHA loan but we'd like to get qualified for a 203K loan so that we can look at "fixers" that might be more in our budget. Can we do that?" Switching from a standard FHA loan into an FHA 203k is possible, and happens on a fairly regular basis. In fact, it can be a real deal-saver when the home you want won't pass an FHA inspection. If you're pre-approved for an FHA loan and the house fails the inspection, your traditional choice is to either move onto another house or require the seller make the necessary repairs to pass the FHA inspection. With the FHA 203k, you don't have to go that route. you can close on the home, and finance the repairs right into the mortgage, passing the inspection post-closing. 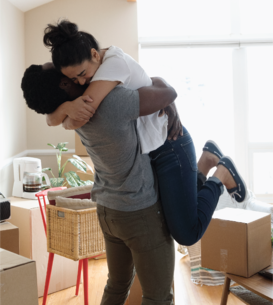 The FHA 203k also allows a home buyer to purchase a fixer upper more in line with their budget, pay for the renovations and roll the costs into the mortgage. This makes more expensive repairs more affordable, since they get amortized into the mortgage. Here's a scenario to help tell the story. John and Nancy want to buy their first home together. Their budget and mortgage pre-approval tells them they can afford a $90,000 home. Most of the houses in that price range in their neighborhood are pretty average, and don't really catch their eye. However, one home they found listed for $74,000 had some real potential. Putting $10,000 into a kitchen remodel and another $5,000 in various improvements like paint and carpet, this home would be perfect for them. Unfortunately, Nancy and John don't have $15,000 to pay for the renovations. Plus, they're not builders, and they're busy so working on the house themselves is going to be tough. Instead of settling for the mediocre homes for $90,000, trying to find ways to nickel and dime the remodeling projects or putting it on expensive credit cards and store credit, John and Nancy can roll the cost of a professional contractor to do the work for them right into the mortgage. And it's not that much more per month. For every $1,000 financed, they add about $6 to their monthly house payment. In other words, financing the $15,000 in remodeling they want will cost about $45 on their mortgage payment. Now, take into account that because the home needed fixing up, it was likely priced relatively low. It may have been listed for much less than nearby houses would be worth. So any fixing up helps increase the value. John and Nancy could have been looking in a neighborhood where home values are closer to $110,000. With the $74,000 home price and the $15,000 in renovations, they've purchased a $110,000 home for $89,000. That's $11,000 in instant equity. Not bad for buying your first home. Here's a short list of examples of FHA 203k projects you could do in your home. New Roof. Whether it’s just shingles or the wood underneath, you can cover roof work costs with a 203k mortgage loan. Gutters. Gutters keep water out of your roof, walls and basement. Yes, gutters fall under the 203k umbrella. New Windows. Whether it’s the style or a concern for energy efficiency, it’s easy to see the benefits of rolling the costs into an FHA 203k. New Door. That front door looks old and in bad shape. You could replace it with a more solid door, or a decorative one. Paint. This paint is peeling and chipping, and could be old enough to have lead in it. Inside and outside painting can be rolled in to the FHA 203k mortgage. New Siding. Maybe you’d prefer aluminum or vinyl instead of this wood siding. Maybe there are holes in it. Whatever the reason, paying a contractor to replace the siding is another option. Handrail or Deck for the Front Door. A simple handrail would help for the required work when it comes to an FHA mortgage, but wouldn’t a nice deck make the front of the house look great and add value? The 203k covers decks and patios. So yes, if you've been approved for an FHA loan but you want to buy a fixer upper, you could very well switch to an FHA 203k loan. Talk to a mortgage consultant about the idea. Enjoy the new home!